Digital Poppies can now be bought online! The Royal Canadian Legion’s Remembrance Day Poppy just became digital this year, for an online fundraising campaign that is the first of its kind in the world. 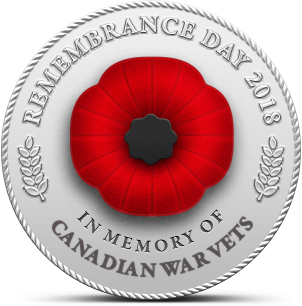 To complement the traditional lapel Poppy, a new “Digital Poppy” will be available at www.mypoppy.ca from October 26, 2018 to November 11, 2018. Canadians will be able to personalize it, dedicate it and share it online – and add their own family stories and images – as their pledge to never forget those who served and sacrificed for our freedom. 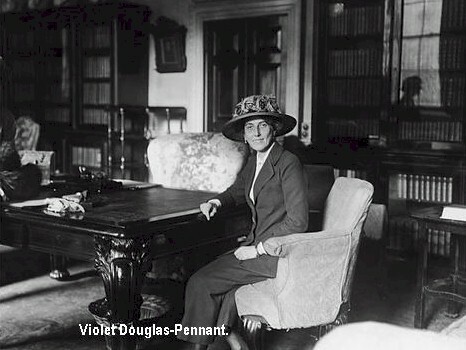 Who remembers Violet Douglas-Pennant among the list of female aviation mold-breakers of the early 20th century? A new book coincides with the 100th anniversary of the commandant of the short-lived Women’s Royal Air Force being fired from her post after just 14 weeks, following allegations she made about the way the service was being run. The WRAF itself lasted only two more years before being disbanded. The aristocrat spent much of the rest of her life trying to get the government to admit it had made a mistake in sacking her, and stained her reputation. Several newspapers and establishment figures supported her efforts, even after her death in 1945, aged 76. Author and historian Susan Leona Fisher spent 10 years researching The Rise and Fall of Violet Douglas-Pennant. Air Canada Increases Frequency to Popular Destinations in 2019. Air Canada announced four new changes to their YVR network of weekly flights. Beginning in 2019, increased service to India, Australia, Switzerland, and Japan will allow for more non-stop opportunities to fly from Vancouver around the globe. 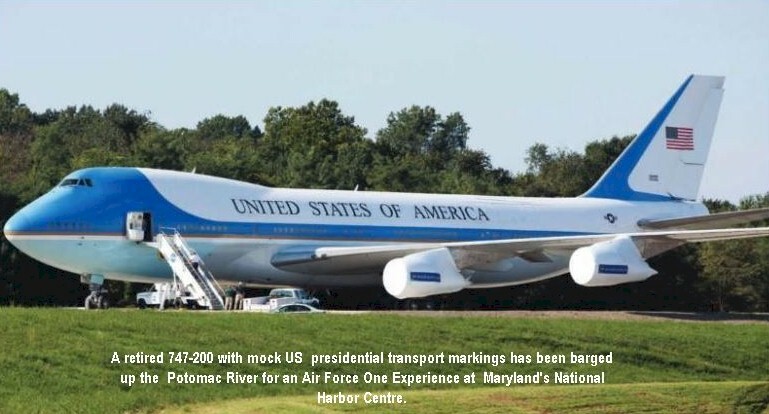 A retired Boeing 747-200 with mock US presidential transport markings has been barged up the Potomac River for an Air Force One Experience at Maryland's National Harbor Center. 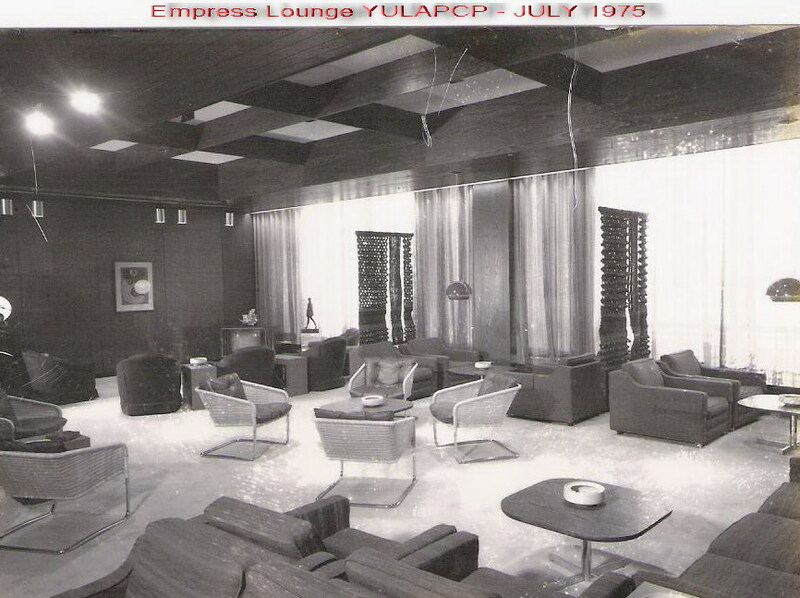 Delivered to Singapore Airlines in 1973, it was last employed by Evergreen International Airlines five years ago. And this photo from the same magazine dated October 23, 2018. How close is close! 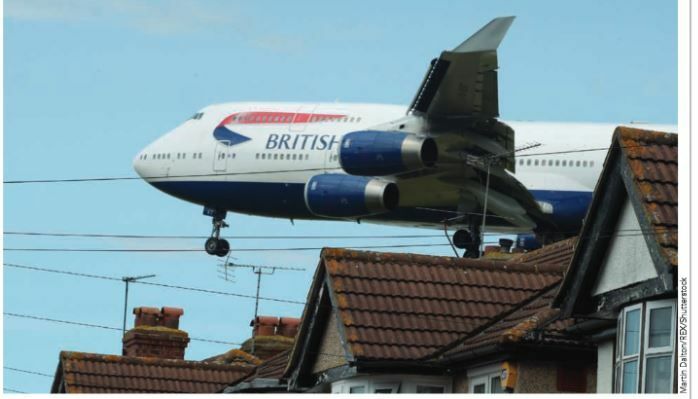 This photo of a BA 747 on the normal flight path while landing from the west at LHR, probably over Colnbrook. 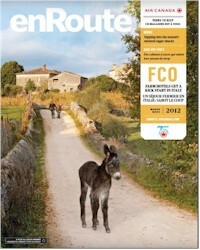 Here is the cover of the enRoute magazine issued March 2012. The family-owned Tenuta di Spannocchia estate, shot by Danilo Scarpati in the Tuscan hills, hasn't changed much in donkey's years. Michael Podrasky, Sales Representative Chicago, and Brian Reid, Customer Service Agent, Houston are obviously in the right field. At a recent Sales Effectiveness Training Course held in Chicago and Houston, their respective sales presentations were chosen as winners by the students at the seminars. 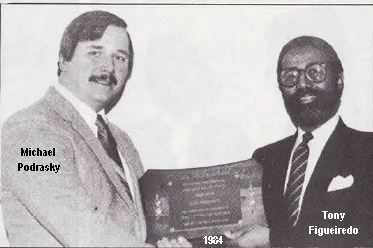 Michael is shown, left in the photo, receiving his "Air Canada Professionals Persuasive Selling Award" from Tony Figueiredo, Passenger Sales Manager, Chicago. 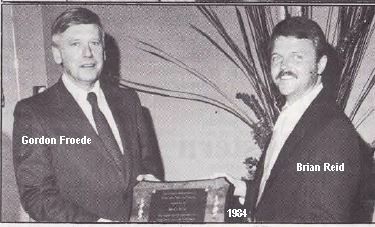 In the next photo, Brian Reid, right, receives his award from Gordon Froede, General Manager, Central U.S.
A bilateral agreement between Canada and Yugoslavia was initialled in Ottawa on March 1, 1984. JAT (Jugoslovenski Aerotransport) has been granted access to Lester B. Pearson airport in Toronto. Air Canada does not intend to operate the route in the foreseeable future, but supports JAT's entry. The company's seventh Boeing 767, C-GAUU, Fin #607, arrived at Dorval on April 12, 1984. The eighth aircraft, C-GAUW, Fin #608, arrived on April 19, 1984. 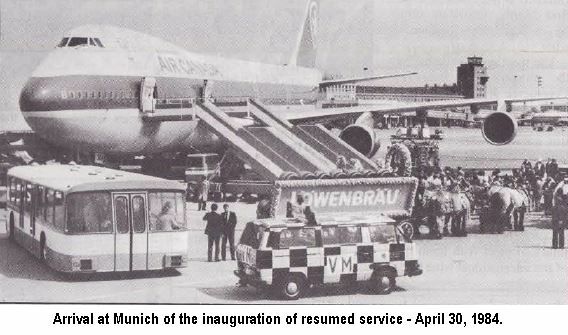 Landing at Munich on April 30, 1984, passengers aboard the inaugural flight were greeted by a Bavarian brass band and a horse-drawn beer wagon. The aircraft was originally scheduled to be a Lockheed 1011 but was replaced by a Boeing 747 under the command of Captain Ron Dennis, Flight Operations Director, Toronto. The flight marked the reintroduction of Air Canada service to Munich. Air Canada previously served the Bavarian city from June, 1974 to April, 1976. Innocan Inc.., of Montreal, announced it has made an offer to Air Canada for the purchase of all of the national carrier's shares of Nordair Ltd., the Montreal-based regional carrier. The Glasgow district took its 1984 product launch on the road. Tourism Canada and the Government of Ontario. 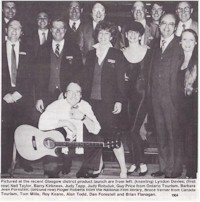 Pictured at the recent Glasgow district product launch are from left: (kneeling) Lyndon Davies; (first row) Neil Taylor, Barry Kirkness, Judy Tapp, Judy Robuluk and Guy Price; from Ontario Tourism, Barbara Jean Forestell; (second row) Roger Roberts from the National Film Library, Bruce Verner from Canada Tourism, Tom Mills, Roy Keane, Alan Todd, Dan Forestell and Brian Flanagan. Upcoming new routes being introduced during 2006. Inaugural meeting of the Women's Auxiliary of the Air Canada Pionairs, Victoria Chapter took place at the home of Kath Lockhart in the late spring of 1984. Mary Held, Chairman; Florence Gervais, Vice-Chairman; Bernice Wier, Secretary; Dorothy Buss, Treasurer and Membership; Alison Brown, Dining-out Convener; Mary Held, Gourmet Group; Reita Wilson, Theatre Convener and Louise Williams, Social, Bridge and Canasta. It was agreed that Rattenbury's Restaurant, housed in the Crystal Gardens, would be the dining out choice for June and Milloss Greek Restaurant and Lounge for July. The Tariff team based in Montreal participated in a team building activity at the Arbraska Park in Rigaud, Quebec: zip-lining in a nature path on suspended bridges! Going beyond the team's daily routines, it tested limits, stimulated the senses and created an incomparable connection to nature at a height of 20 meters! This innovative and exciting activity encouraged teamwork and the mastery of self, the fear of heights and balance, concentration and exceeding one’s limits in complete safety! This exercise promoted a sense of connection, camaraderie and euphoria. Nothing says teamwork like rescuing your colleague stuck in a tree! Pictured here (left to right) are: Sabrina Dessi, Chantal Ward, Maura Di Blasio, Manuella Meilchen, Germain Cordero, Nancy Lavoie, Phillipe Meilleur, Marie-Christine Greer, Luigi Gambino, Christine Owers and Jenny Acheson. Missing from photo: Cathy Coppola, Michelle Dubois and Jessica Doiron. From Parts & Pieces issue March, April, May 1996. 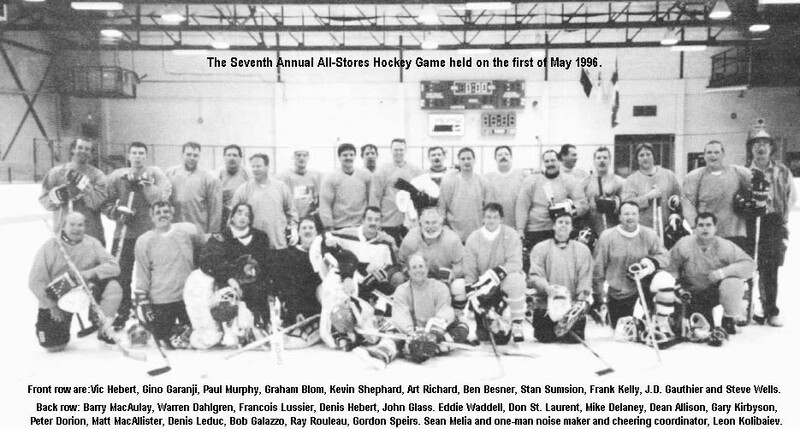 Once again, the Seventh Annual All-Stores Hockey Game held on the first of May 1996 was a great success. While many a creaking of bones could be heard over the sound of the cheering crowd, our boys are in pretty good shape. The game was a total of two hours and a short breather at half time to clean the ice and get some liquid refreshment. Listed from left to right, front first are: Vic Hebert, Gino Garanji Paul Murphy, Graham Blom, Kevin Shephard, Art Richard, Ben Besner, Stan Sumsion, Frank Kelly, J.D. Gauthier and Steve Wells. Second row: Barry MacAulay, Warren Dahlgren, Francois Lussier, Denis Hebert, John Glass, Eddie Waddell, Don St. Laurent, Mike Delaney, Dean Allison, Gary Kirbyson, Peter Dorion, Matt MacAllister, Denis Leduc, Bob Galazzo, Ray Rouleau, Gordon Speirs, Sean Melia and one-man noise maker and cheering coordinator, Leon Kolibaiev. Our Facebook page is centered around Air Canada GSE in YUL and the people who work (worked) there. 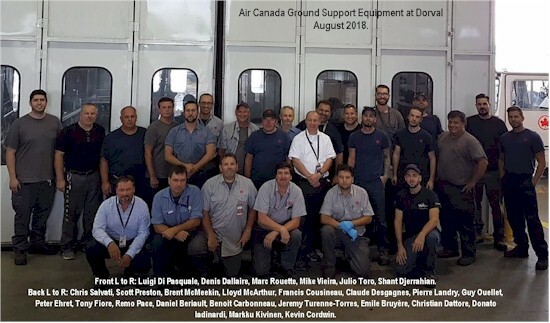 Here we have these photos from the Air Canada Ground Support Equipment at Dorval. Taken in August 2018. Kneeling left to right: Luigi Di Pasquale, Denis Dallaire, Marc Rouette, Mike Vieira, Julio Toro and Shant Djerrahian. Standing left to right: Chris Salvati, Scott Preston, Brent McMeekin, Lloyd McArthur, Francis Cousineau, Claude Desgagnes, Pierre Landry, Guy Ouellet, Peter Ehret, Tony Fiore, Remo Pace, Daniel Beriault, Benoit Carbonneau, Jeremy Turenne-Torres, Emile Bruyère, Christian Dattore, Donato Iadinardi, Markku Kivinen and Kevin Cordwin. Taken December 2013 for retirement of Orlando Braga (center of photo). 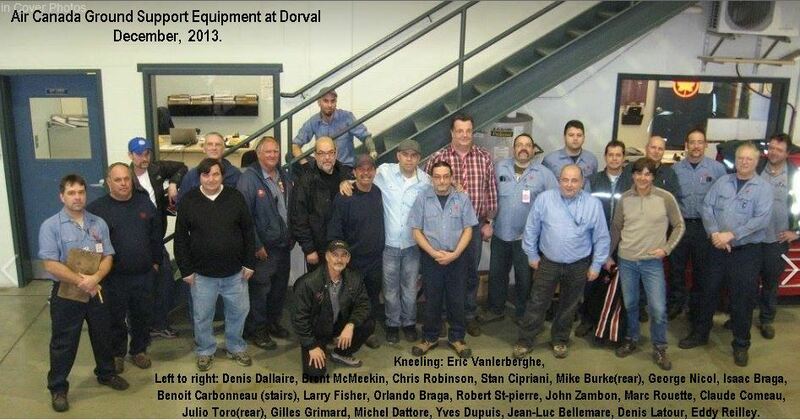 Kneeling: Eric Vanlerberghe, Left to right: Denis Dallaire, Brent McMeekin, Chris Robinson, Stan Cipriani, Mike Burke(rear), George Nicol, Isaac Braga, Benoit Carbonneau (stairs), Larry Fisher, Orlando Braga, Robert St-pierre, John Zambon, Marc Rouette, Claude Comeau, Julio Toro (rear), Gilles Grimard, Michel Dattore, Yves Dupuis, Jean-Luc Bellemare, Denis Latour and Eddy Reilley. 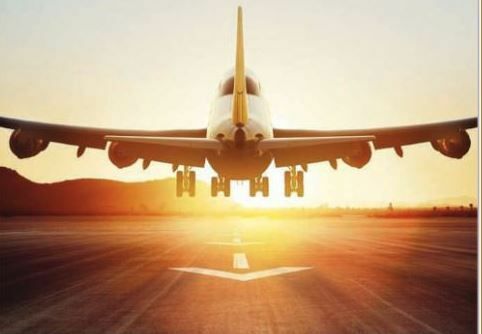 A look at what the future may hold for air travel as current technological developments mature and find applications in markets such as the aerospace industry. With over 80% of the fully laden weight of a commercial airliner taken up by the fuel, weight reduction is a constant challenge. Explore high value technologies such as OLED displays and discover the potential opportunities available in aerospace development with the support of CPI's expert knowledge and state of the art facilities. Click on images for links to video and larger images. CP Air will close its Flight Attendant base in Montreal May 1, 1984 and move 85 flight attendants to Toronto and Vancouver. CP Air buys Eastern Provincial. Canadian Pacific Airlines has announced plans to purchase Eastern Provincial Airways and its affiliate, Air Maritime Ltd., from Newfoundland Corp. for $10 million, subject to approval of the Canadian Transport Commission. Eastern Provincial will continue to be headquartered in Atlantic Canada and will service its regional structure as a separate carrier under its own name and livery. It will be operated as a wholly owned subsidiary of CP Air. The airplanes of the 1930's and 40's certainly were durable. The Barkley-Grow light twin was introduced in Canada in 1939 with Yukon Southern Air Transport. Along with other operators, YSAT merged early in WWII into CPA, in which markings Leslie Corness frequently saw CF-BLV. “BLV”, T8P1 built in 1938 c/n 3, remained in Edmonton when acquired by CPAL on December 23, 1943 assigned fin # 212. Later sold to H.R. Peets of Edmonton on November 29, 1949 and then by Associated Airways in 1951, then Associated was absorbed by PWA in 1956. Sadly, it came to a harsh end in a January 12, 1960 crash at Peace River, Alberta. This is about the best basic angle for shooting a Barkley-Grow, Beech 18, any Lockheed twin, DC-3, or most “tail draggers”. Airplane hobby photographers understand such fundamentals. When I chose to feature this historic aircraft for this edition of the NetLetter, I soon realized that there is far too much information available to condense into a few short paragraphs. The ‘Spitfire’ was designed to be short range interceptor which proved to be of significant worth during World War II. It emerged as the backbone of the fighter fleet of the RAF and Allies during the Battle of Britain where it had a higher victory-to-loss ratio than the more numerous Hawker Hurricane. Primarily deployed by the RAF, RCAF and USAF, it served with distinguished honour and remains popular with aviation history enthusiasts and preservationists. Pictured is the Spitfire VC 417 RCAF Squadron in Tunisia in May 1943. Please click on the following links more on the story and videos of the ‘Spitfire’. 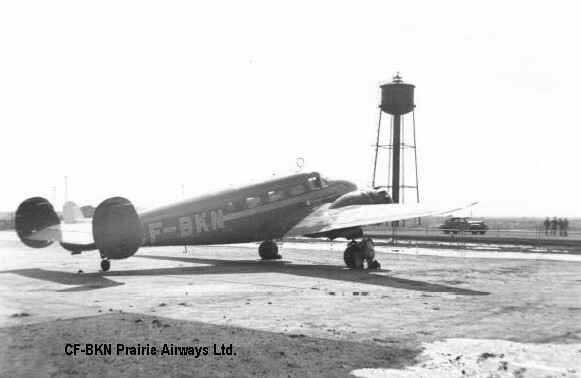 Aircraft CF-BKN is a Beechcraft 18D, built in 1938 and registered to Prairie Airways Ltd, Moose Jaw, SK, on 09 July 1938. The aircraft was then, by name change registered to CPAL, Winnipeg, Manitoba in 1942. This aircraft was then exported to T.A.C.A., Venezuela, in 1944. Prairie Airways also had a Beechcraft 18D registered as CF-BKO, having the same registration and transfer dates. The hangar is believed to be on Moose Jaw Airport (Rosedale Airport), which was on the northwest edge of Moose Jaw. Hangar may have been destroyed by fire in April 1947 (Vancouver Sun) . Photos were taken by Douglas A.B. McPherson when he was assigned to the Moose Jaw Flying Club for R.C.A.F. training – 03 March 1941 – 26 April 1941. Doug McPherson was the first student of the Kamloops Aero Club to solo at about 07:30 hrs. – 15 June 1939. The club’s instructor was Terence H. Finney. After serving in WWII, and being “missing in action”, Doug returned to Kamloops, in November 1945, and was provisional president of the Kamloops Flying Club, before re-categorizing, as instructor, with the Aero Club of B.C. He then instructed his first trainees on the Tiger Moth aircraft in late January 1946. McPherson moved his family to Victoria, B.C, in November 1948, where he may have joined the Victoria Flying Club. Heather Johannson tells us that friend, Gail (Horton) Hodges, was telling her about her flight attendant Mum, Violet Kirchhofer. The attachment was an article from the Lethbridge Herald April 1945 regarding Robert McAfee, a passenger on a flight from Lethbridge to Vancouver who suffered a medical emergency 30 minutes out of Lethbridge, during which Stewardesses Violet Kirchhofer and Dorothy Elizabeth Barton administered oxygen. The flight returned to Lethbridge where Robert McAfee was transferred to the local St. Michael's hospital. Violet Kirchhofer married Kenneth George Horton who worked for Trans-Canada Air Lines/Air Canada for about 40 years. His final assignment was at Place Ville Marie in Montreal. I have an Air Canada "Horizons" paper dated November 29, 1977. He was the Manager of Cargo Pricing. In the article her dad thanked Doug Spalding, Ian Gardner and Gary Bocking for organizing his retirement party. Later, Ken left Montreal and moved to British Columbia for health reasons. 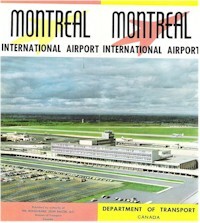 Thank you for the comments in NetLetter #1401, about Montreal, Dorval airport. 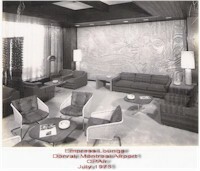 In 1957 I was transferred from Winnipeg to Montreal, Dorval airport as a CPAL Flight Dispatcher. The CPAL operation was carried out in a long-gone building, that had been the Trans-Atlantic Ferry Terminal of the 1940's. The `new` Terminal building was constructed in the next few years, and opened for operations in 1961. Colleagues and I walked through the spacious Terminal, and wondered why it was built so large. Little did we know that with the advent of large jet aircraft in the next decade, the building would actually be too small. 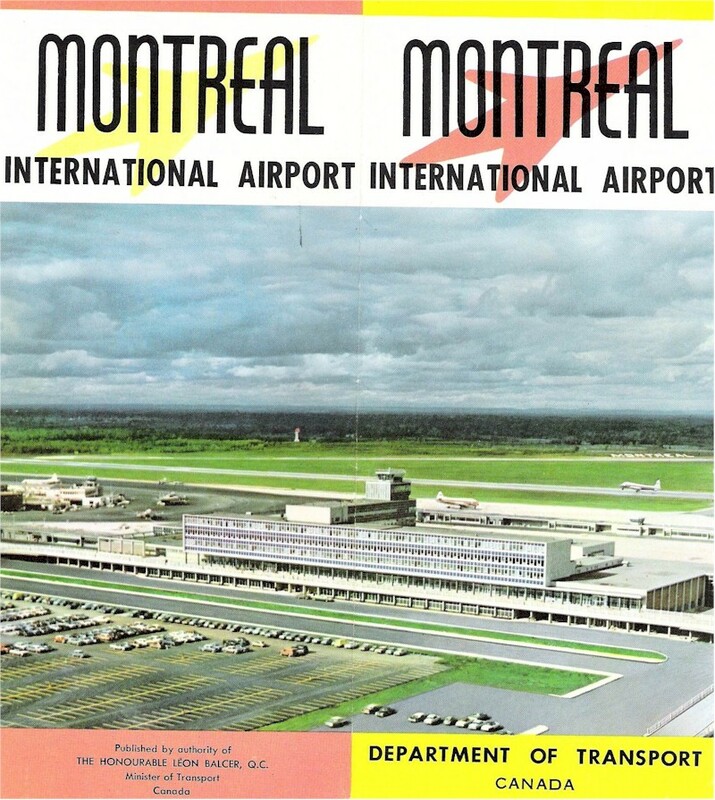 In 1971, I was appointed Station Manager at Dorval, for CPAL, and saw the growth of the industry, that precipitated the disastrous attempt to move the bulk of all operations to a new airport at Mirabel, QC. The rationale for such a major change seemed to be concerns about `Nose Abatement` in local communities adjacent to Dorval. But, with technical advances in noise suppression, the move to Mirabel ultimately was abandoned. 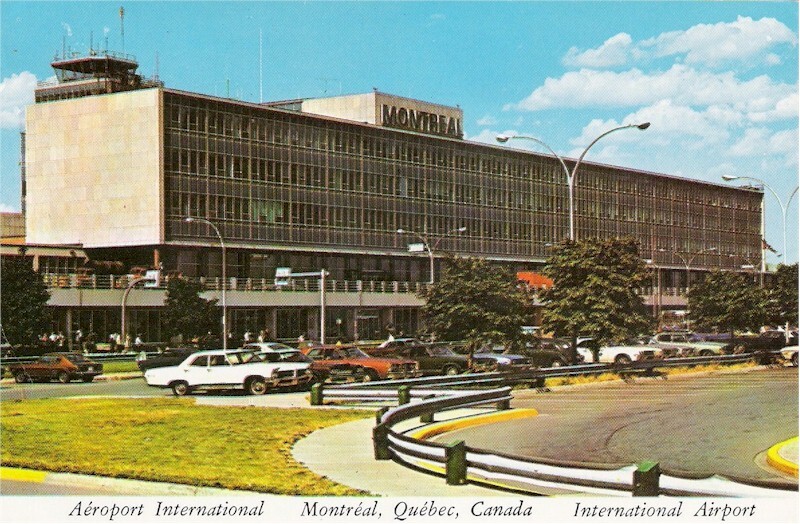 Had the Mirabel Airport become operational in the late 1970`s, there is no doubt that Montreal would have ceased to be a major Hub for Domestic and International airline operations. Winnipeg Museum Prepares to Take Flight to New Location. 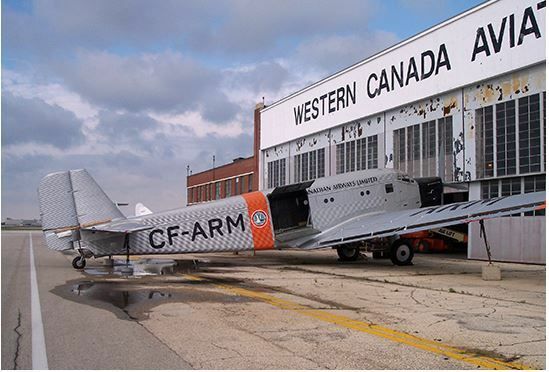 After over thirty years in a former Trans-Canada Air Lines maintenance hangar, the Royal Aviation Museum of Western Canada (once the Western Canada Aviation Museum) is closing for two years in preparation for a move into a new display hangar in Winnipeg. The aircraft collection has been dispersed to several locations around southern Manitoba, including the Commonwealth Air Training Plan Museum in Brandon. Other artifacts are in storage. The hangar, a significant piece of Canadian aviation history, will be torn down to make way for a new maintenance hangar, where the RCAF's C-295 search and rescue airplanes will be inspected. The hangar includes the original Stevenson Airport passenger terminal. Avro Lancaster FM104 moving to Victoria. The British Columbia Aviation Museum is the successful bidder to receive an Avro Lancaster bomber from the City of Toronto. The Lancaster FM104 will be moved to the museum in North Saanich near Victoria International Airport over the next few months, and restoration will start immediately. The long-term goal of the museum is to restore the aircraft to flying condition in partnership with Victoria Air Maintenance, a firm of vintage aircraft restorers located near the museum. “The Avro Lancaster is an iconic aircraft with a distinguished record in war, where it was a major contributor to the strategic bombing offensive in World War II, and in peace, where it served for many years on both coasts in reconnaissance and search-and-rescue missions,” said John Lewis, president of the BC Aviation Museum. The five tractor trailer loads transporting FM104 from Ontario to Vancouver Island have arrived at the British Columbia Aviation Museum. The aircraft components are stored onsite and the public will be able to see much of the aircraft. The detailed restoration plan is being developed. Stay tuned and visit the Museum to see the progress. Air France has reached a pay deal with unions, paving the way for the Air France-KLM group to move on from a months-long labor conflict and focus on its long-term strategy. The agreement comes less than a month after Benjamin Smith, the group’s new CEO, also took over as temporary CEO at Air France, kicking off discussions with labor representatives in a bid to resolve the long-drawn out pay conflict. Smith, who took over as group CEO September 17, gained a reputation for being a successful negotiator with unions at Air Canada, where he was previously COO. It is 20 years since one of the world's shortest-lived airports began operations. 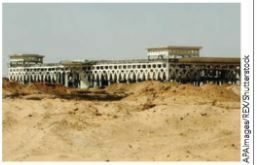 Opened by US President Bill Clinton in November 1998, Yasser Arafat International - gateway to the enclave of Gaza-lasted less than three years before Israel bombed its runway and control tower in 2001 in retaliation for Hamas attacks. Although for several years staff continued to turn up, manning check-in desks as a point of principle, the terminal has since been ransacked and - like Palestinian Airlines of a hope for an air connection to the outside world - lies in ruins. The airport was the hub of flag carrier Palestinian Airlines. However, although the airline still exists, its two Fokker 50s have been wet-leased to Niger Airlines. and it has not carried passengers for years. The current turmoil in Gaza means flights are unlikely to resume at Yasser Arafat International any time soon. From Canada's remote Northwest Territories comes a cautionary tale on the dangers of mixing aviation and wildlife. Passengers on a Bell 407 helicopter supporting a trail remediation project spotted a bear as the chopper approached its destination on 19 July, 2018,and the pilot swung the aircraft around to "facilitate a closer look'' for those aboard, according to the Transportation Safety Board of Canada. But the helicopter entered a descending right turn which the pilot was unable to arrest, and the machine collided with the ground, causing the main rotor to slice off the tail boom. Passengers and crew managed to exit, presumably relieved at having survived what could have been a horrific air crash, right up until they were stranded outside in the middle of nowhere; with a bear. 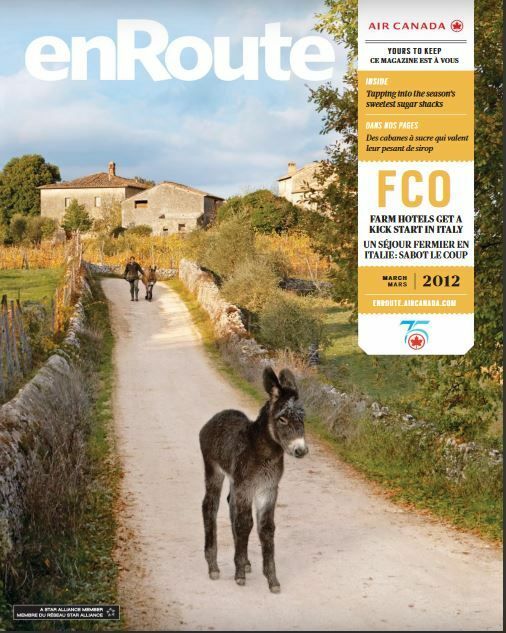 The airline was established in 1936 as Fecteau Air Services by Arthur Fecteau. He first had a Travelair 2000 that he fixed with his older brother Joseph. After some time he got a Junkers, a DeHavilland Fox Moth and, later, a Norseman. Fecteau was offering air charters from Senneterre across the northern Abitibi region. Getting bigger, he bought new bush planes on the market like the DH Beaver and Otter. 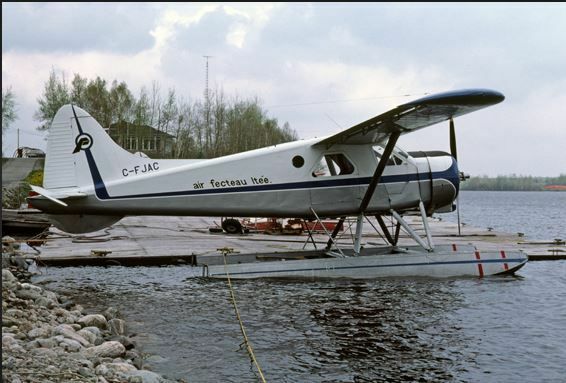 In 1967 he sold the company to Quebecair, with a dozen Beavers and Otters, flying from Senneterre, Chibougamau, Matagami, Rupert House and many other remote locations. The company started in 1998 with scheduled flights to Edmonton. In 1999, Integra started its chartered service and four years later it began offering aircraft management services. In 2010, Integra Air purchased Bar XH Air, expanding their services to include air medevac. The Airline ceased operations on August 31st, 2018, advising that the airline was undergoing corporate restructuring. The closure also shuts down operations of the Air Ambulance Services. Here are a few deals from the myriad of deals from Dargal Interline. From: Inside: $299 Oceanview: $429 Balcony: $449. From: Inside: $219 Ocean view: $299 Balcony: $399. Sydney; At Sea; Noumea; Isle of Pines; Lifou; At Sea; At Sea; Yorkeys Knob (Cairns); Airlie Beach; At Sea; Brisbane; At Sea; Sydney; From: Inside: $609 Ocean view: $709 Balcony: $889. Singapore; At Sea; Ko Samui; Laem Chabang (Bangkok); At Sea; Phu My (Ho Chi Minh); At Sea; Singapore; Georgetown (Penang); Phuket; At Sea; Singapore. From: Inside: $649 Ocean view: $759 Balcony: $979. From: Inside: $1750 Ocean view: $1890 Balcony: $2100. San Francisco; At Sea; Hilo (Hawaii); Honolulu (Oahu); Lahaina (Maui); Nawiliwili (Kauai); At Sea; Ensenada; At Sea; San Francisco; From: Inside: $1154 Ocean view: $1356. Balcony: $1694. Get Two FREE Specilty Dining Vouchers per Person! Shanghai; At Sea; Beijing; At Sea; Kitakyushu; Seogwipo City; At Sea; Hong Kong; At Sea; Nha Trang; Phu My (Ho Chi Minh); At Sea; Singapore; Port Klang (Kuala Lumpur); Georgetown (Penang); Langkawi; At Sea; Chennai; At Sea; Cochin; At Sea; Abu Dhabi; Dubai; At Sea; Salalah; At Sea; Aqaba (Petra); Suez; Transit Suez Canal; Limassol; At Sea; Civitavecchia (Rome); At Sea; Barcelona; At Sea; Lisbon; At Sea; Southampton. From: Inside: $4999 Ocean view: $6249 Balcony: $6749. Cruises: Rates are quoted in U.S. dollars per person (based on double occupancy). PORT CHARGES ARE INCLUDED. Taxes & fees are not included. Fuel supplement may be applicable. All rates are subject to change, availability and eligibility. All offers apply to new bookings only, are capacity controlled and may be withdrawn without notice. 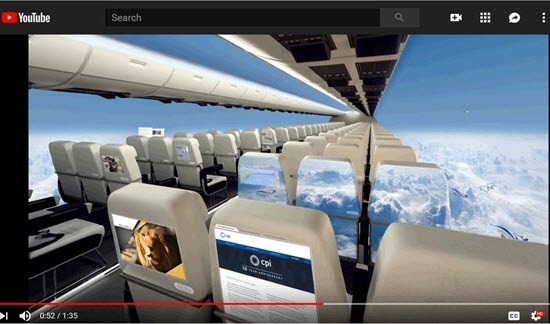 AV geeks happening on the Lufthansa media website will have doubtlessly spotted the error with this striking but - we presume - montage image. Look closely and the aircraft - clearly with its flaps deployed for landing - appears set for a rather uncomfortable encounter with the desert beyond the runway. The arrows on the tarmac point in the direction of the threshold of the usable runway.behind the snapper's back. After having dug to a depth of 10 feet last year, British scientists found traces of copper wire dating back 200 years and came to the conclusion that **their** ancestors already had a telephone network more than 150 years ago. Not to be outdone by the Brit's, in the weeks that followed, an American archaeologist dug to a depth of 20 feet, and shortly after, a story published in the New York Times: "American archaeologists, finding traces of 250-year-old copper wire, have concluded that **their** ancestors already had an advanced high-tech communications network 50 years earlier than the British". One week later, Canadian Department Of Mines and Resources in Newfoundland reported the following: "After digging to a depth of 30 feet in Newfoundland, Canada, Jack Lucknow, a self-taught archaeologist, reported that he found absolutely nothing. Jack has therefore concluded that 250 years ago, Canada had already gone wireless." Just makes you proud to be Canadian, eh!